Eat Bulaga Indonesia goes on air on July 16! The successful afternoon variety show in the Philippines for 33 years, Eat Bulaga is finally reaching Indonesia. 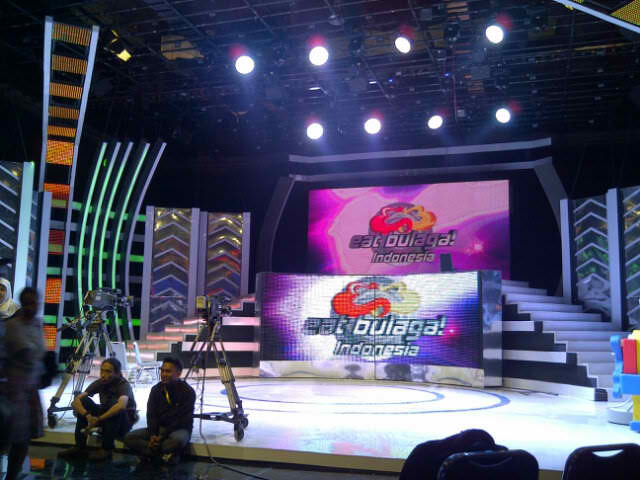 Eat Bulaga Indonesia will be the first franchise of the Philippines' longest running afternoon variety show - Eat Bulaga. With 14 hosts, Eat Bulaga Indonesia is set to become as lively & entertaining as the original from the Philippines. According to program director Harsiwi Achmad, aside from being entertaining, Eat Bulaga Indonesia aims on spreading positive values as well as making the communities closer through their program. "So in addition to entertaining yet also entertaining education, fun but touchy. So we want this program a success as the Filipinos who can be seen for 33 years"
Eat Bulaga Indonesia will follow some of Eat Bulaga's original content such as Bulagaan, Karaoke Stud (their version of EB's Pambato ng Videoke), Indonesia Genius (their version of Pinoy Henyo), and One for All, All for one. EB Indonesia also explained why they will start the program in the month of Ramadan, they have deliberately done this in order to show people the positive values & community sharing the program originally does in the Philippines.